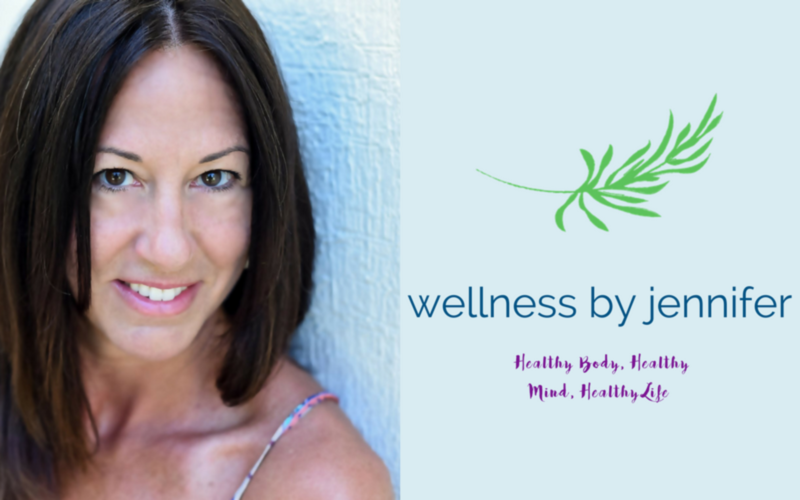 I understand that the nutrition consultation and coaching services offered to me by WELLNESS BY JENNIFER (Jennifer DePinto) are educational in nature and intended to provide me with well-researched nutrition information. The coaching services may include, but will not necessarily be limited to: instruction in the development of eating habits, physical exercise, rest, stress reduction, healthy home and workplace environment, attitudinal and behavior changes. The coaching offered under this Agreement is acknowledged and understood to be of a strictly non-medical and non-psychological nature and is accepted solely and exclusively for instructional purposes only. Suggestions made for diet and / or supplement products are intended to support and balance the body with the sole intention of enhancing general health, and are not intended to diagnose, treat, cure, or prevent any disease. Nothing expressed, written, or implied should be considered as medical advice for dealing with any given medical condition. The information received cannot replace the advice or treatment of a qualified health care practitioner. I also agree that I have been advised to discuss the recommendations with my prescribing physician. It is recommended to every person prior to joining in a nutrition program that he/she undergo a complete physical examination by their physician. In consideration of my requesting a nutrition program and in seeking advice concerning the present state of my general physical condition, I accept any and all responsibility for and assume the risk of, any and all injury or damage to my person and/or property and the potential for unusual, but possible mental or physiological results including, but not limited to, abnormal blood pressure, fainting, heart attack or death, which might arise whether directly or indirectly, as a result of following a nutrition program suggested by my coach(es). Because exercise / diet modifications should not be performed under certain medical conditions, I affirm that I have stated all my known medical conditions and have been honest about my medical status. I understand that everyone will lose weight at different rates and so I may lose weight slower or faster than others I have seen. I hereby certify that I fully understand and accept the above information, and agree to ask for clarification on any information I do not understand during or after the consulting session. I agree to disclose all known medical conditions and have answered all questions openly and honestly. I agree to keep the coaches informed of any future changes in my medical conditions and treatments. I further acknowledge that I have received a signed copy of this disclaimer for my records. Coach is not a medical professional and is without expertise to diagnose medical conditions or impairments. Client agrees to promptly and fully disclose to Coach any injury, condition or impairment which may have a deleterious effect on or be impacted by this nutrition program and the Coach’s decision to discontinue services because of any condition which presents an adverse risk or threat to the health or safety of the Client, the Coach or others shall be conclusive. He/she has either (I) had a physical examination and been given a physician’s permission to participate in this nutrition program; or (ii) decided to participate in this nutrition program without the approval of a physician. Client agrees on behalf of him/herself and his/her personal representatives or heirs to release and discharge Coach, his agents, representatives, successors and assigns from any and all claims or causes of actions (known and unknown) arising out of this nutrition program including without limitation injury or loss resulting from Clients use of any equipment or facilities which break or malfunction. No implied warranties or representations are made other than those expressly contained herein and this document contains all of the terms of the Agreement between the parties. Coach expressly notes that results will differ for clients based upon various factors including without limitation; body type, nutrition, etc. and no guarantees of results are possible. Depending on the program purchased, coaching services may also be included and are provided primarily via weekly video conference calls and in the secret Facebook group where Coaches will do their best to answer any and all questions. Should Client need additional support, they may send an email or Facebook message and Coaches will do their best to answer as soon as possible, however there is no guarantee of coaching support in these formats and Coaches may choose to answer questions submitted via these formats instead on weekly video coaching calls, as a general post in Facebook group, or via Facebook Live video. Coaching programs that include live coaching are bought as a specific number of weeks package and must be use within those designated number of weeks or forfeit any remaining time. Client cannot “freeze” coaching sessions once started. Any digital content provided on the members only or online learning platform, as part of your program, includes lifetime access to content. All material supplied during this program, via the online training platform, in the Facebook group, and on video coaching calls, etc. is copyrighted and shall not be shared with outside parties. Once the program fee is paid in full, access to the online training platform and Facebook group are granted immediately. Client may begin participating in the group video coaching calls on the next available date after enrollment. There are NO refunds nor transfers of service. No exceptions. I understand that all information provided will be kept confidential and not shared with others. Sharing this information with others without specific written authorization/consent from Jennifer DePinto may result in legal action and removal from the membership site and access to all materials regardless of payment being revoked. I have read this application form in its entirety including the declaration, disclaimer and other terms sections and understand the information that has been provided to me.